Charles Eisenstein writes with a rare clarity. While I don’t subscribe to all his conclusions, his analysis of the current global economy is spot on, and I’ve learnt much from this book about how the current system has developed, why it has enslaved the world to a cycle of near-irreversible self-destructive consumerism and what some of the keys might be to moving on from this current nightmare. The fact that human gifts and skills are not being well utilised in our highly developed world (most people don’t love the work they must do) and human needs are very largely unmet through a massive polarisation of wealth illustrates that what we have come to now is an absolute failure. Instead of enabling well-being for society, our economic system has become the tool of crippling the linking of human gifts and human needs. Money as we know it is not the answer, money is actually the problem. As an accountant by training, I know how powerful the story behind our economic system is, and how hard it is to break out of that mindset. We are trained that everything can be expressed by some sort of a monetary value: time, goods, people, resources, land, water, entertainment, culture etc. When we link this to the other unquestioned assumptions of our age – maximisation of wealth as expressed in possessions and net worth, and the value of individualism, we have a toxic brew for dehumanisation and destruction of the earth. 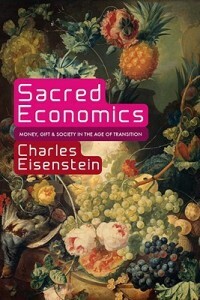 Eisenstein shows how society has moved progressively from very little being denominated in monetary terms to almost everything. Much of what was once regarded as the commons – the common property of humanity for the good of all – is now private, protected by private ownership, regulation, patent law, digital rights management and so on. This has had the effect of not just separating us from our joint cultural heritage but also of separating us from each other and ultimately from our own worth. In a generic world where everything is exchangeable nothing carries any kind of meaning – including our lives. We see this in western culture where although we have an abundance of stuff we are the most dissatisfied of generations. By denominating almost everything in terms of money, we can “own” what was once the possession of all, limit it making it scarce then make a profit. By denominating abundance into money (a scarce commodity) the abundance of the world is withheld from the needy and wasted by the powerful. If almost everything is denominated in terms of money, things once intrinsically valuable not only lose meaning and true value, but the status of money is elevated to a higher value than the goods that it is supposed to represent. Almost everything in the real world decays over time – food, fabrics, timber, manufactured goods, even ideas and culture. They need to be refreshed and nurtured. Even land if left unkept losses some of it’s intrinsic value (an orchard left to become overgrown say). This is why gold was regarded so highly in ancient cultures – it did not rust or decay like everything else. Money as we know it on the other hand (because it can be loaned at interest) functions in the exact opposite way. It gains value over time. Money, something that has no intrinsic value but is simply supposed to be a way of linking human gifts with human need, has now become something to be desired above all else, to be hoarded rather than used to benefit society. Eisenstein argues that this is actually not just ridiculous, but it is at the heart of our inequality and what he calls “wealth polarisation“. Those who somehow have money gain more for doing virtually nothing, and those who don’t get worse off. The scarcity of money drives economic slavery. Loaning at interest – the backbone of the modern economy – only works in times where there is room for growth – new lands to conquer, new products to make, new needs to create, new resources to exploit, more gullible people who will believe that they too can be “rich”. When we start running of out the commons (what is left of our shared culture and our natural world), when we become satiated on the drug of consumerism, when pleasure no longer is pleasurable, the system starts to break down. Then it gets nasty. The economy starts to implode, democracy becomes a commodity for sale to the highest bidder, regulation multiplies so only huge exploitive corporations are able to survive, debt becomes unsustainable, jobs become harder to find and higher-pressure. In the intensity of human suffering violence escalates and the poor and minorities usually become the scapegoats. The current system is clearly unsustainable. It is an insatiable beast without the ability to regulate itself. While Eisenstein offers some great solutions at a macro level which could reverse the process I’m not convinced that without a serious rupture in the current system there will be any appetite for real solutions. Our best hope is to at least aware of the vulnerability of the current economy and not to put our hope in it, but to begin to rebuild an economy of care and generosity that isn’t focussed on or indebted to the money system. This entry was posted in Book review, Economics on July 28, 2016 by Clive. Healthy economies depend on a vast complex network of interconnected facets. In a way they are very similar to a natural eco-system. What can we learn from this organic metaphor when applied to restoring our ailing communities? Within a healthy forest the larger, more established trees and plants shelter and provide nutrients for the emergence of new types of growth. This undergrowth in turn protects the larger trees from predators and disease, and retains moisture, microorganisms and insect life in the soil. 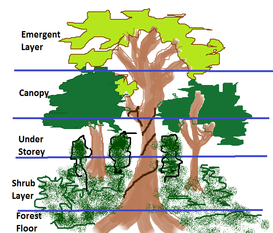 Layers of interdependent growth develop, contributing to the well-being and viability of the forest as a whole. Animals, birds, insects and microorganisms work in harmony and there is no waste. When a forest has had the undergrowth removed the whole becomes vulnerable, there is no emerging life and the soil is eroded. The forest will eventually recover on its own if the damage is not complete, but this may take hundreds of years. Intervention is required to rebuild the ecosystem and repair the damage. Similarly, our economy has become devoid of much of the “undergrowth” of local emerging enterprises. Young people are not staying in the area and becoming core primary providers of necessities and support services also tend to be less local. Larger enterprises are increasingly not locally owned, and often become the equivalent of “exotic” or “alien” varieties rather than native fauna. Like our pine plantations, these take more from the soil than they give back. Like our soil, our local wealth, community cohesion and culture is depleted and exhausted in the process. Commonly these larger entities will see the solution to falling returns as more centralisation. In a forest this would be like a giant tree trying to graft all the other plants onto itself, making the whole system massively vulnerable. So to in an economic sense trying to cover the whole supply chain or monopolise a whole market actually decreases the resilience of the whole system. When the local “undergrowth” of small, local entrepreneurs is removed predators and disease move in as they do in native forest. For example, overseas investment may promise jobs for local people but these are often minimum wage low-skill jobs or imported labour who send most of their income out of the region. Our resources are stripped out with little local value added. In both the natural forest and the economic ecosystem eventually even the established native trees (larger locally owned enterprises) will succumb to disease and the soil will become so depleted desertification will result. If existing larger established local enterprises can act as shelter to emerging local businesses we may be able to see a reversal in this process. We can become agents of intervention for the purpose of returning the system back to dynamic balance – “eco-nomic environmentalists”. We can create a space for new native seeds to be sown (locally owned enterprises) and returning insects, microorganisms and fungi to connect the life of the soil and plants. We can be like the bees and insects, cross-pollenating ideas through cluster meetings, hui, mentoring groups, research projects etc., or like the mycorrhizza, networking the whole through internet tools. Following the “eco-nomic” model no-one is the “king” in this. Centralised, large-scale organisation actually decreases resilience. Rather each organisation and person takes on specific projects that enable the whole economic system to be restored to health and resilience – where possible partnering with and empowering others to do this rather than try to do everything ourselves. Instead older, more established organisations and businesses can act as “canopy” to sub-canopy and smaller plants. With the support of the whole “forest” large organisations may emerge from the top that become nationally or even internationally significant, but they are firmly rooted in and supported by the local community and the small businesses. In this way the economy becomes a relational ecosystem, founded on the principles of collaborative, relational networks that cannot and should not be mapped into a rigid “organisational structure”. Partnership within this may model may be financial, but more than that it will be a system of natural generosity, trust networks and friendships – healthy “co-opertition” of those that wish to share in the responsibility for creating a resilient and sustainable future together for our tūrangawaewae, the place we call home. This entry was posted in Economics on November 24, 2015 by Clive. This workshop by Ifor Ffowcs-Williams was hosted by Northland Inc on 15 July at Barge Park in Whangarei. Ifor is an extremely experienced facilitator of business clusters and founder of Cluster Navigators. Based in Nelson, he consults and conducts training all round the world concerning the development of clusters. Ifor is a great advocate of moving from isolation into teamwork. 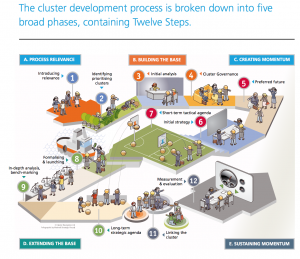 This is what clustering is all about – collaboration for the sake of empowerment. He gave great examples from round the world of how groups coming together were able to leverage their commonality to great advantage to the local economy – providing employment where there was great lack and poverty. In many cases businesses that on one level were competitors could still find synergies. He calls this co-petition (as opposed to competition). Wonderful! He talked about studies that have been recently carried out in Northland – theTai Tokerau Regional Growth Study Report and The Tai Tokerau Maori Growth Strategy: ‘He Tangata, He Whenua, He Oranga – both in depth studies, but his impression seemed to be that while they captured the situation well, the failed to reach conclusions concerning real local action that we can take. Their focus was too much on needing support from Government. 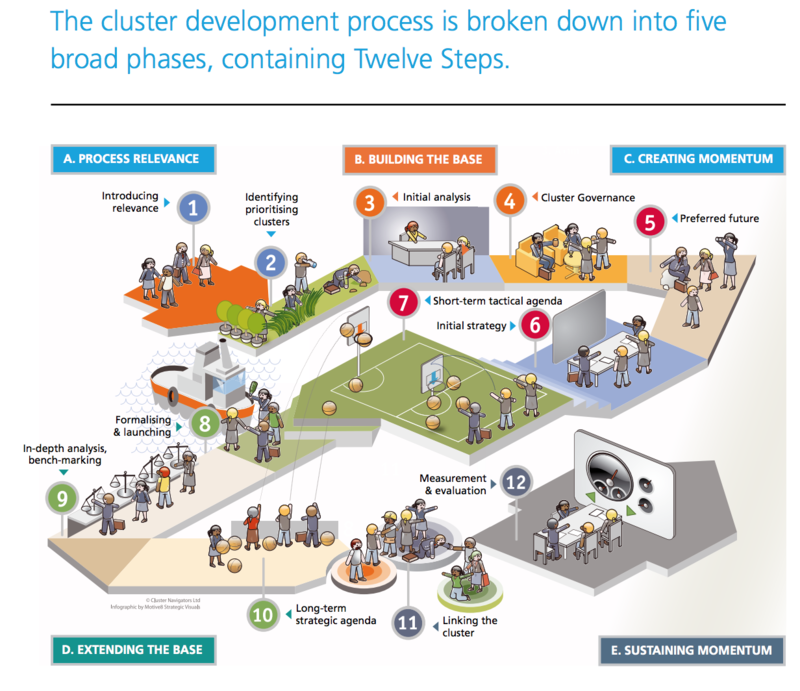 This is where clusters come into their own – as bottom up rather than top-down initiatives. I see the similarity to the Health Promotion model where the outcomes are exponentially better if community initiated and locally contextualised. His experience is that all the reports in the world do nothing until local groups start to form that share “tacit information” – that is knowledge that can only be gained and shared by face to face interaction and knowledge that is often native to a place. He pointed out that of all the OECD countries we are the most centralised. While this may have been more appropriate in the past when NZ had a more uniform economy it is not really appropriate now where we have such diverse local specialisations emerging. Local clustering is likely therefore less likely to obtain as much central government support (i.e. financial help) as in other countries but this shouldn’t stop us either. Ifor took us though small group break-outs to identify what our Northland specialities are in order to see the potential for clustering – things like dairying, horticulture (kumara, kiwifruit, citrus, tamarillo etc), honey, fisheries, timber, boat building and repairs etc. The next step is to develop what he called “deep specialisation” – gaining a full knowledge of your product top to bottom, from production to finished goods to other alternative uses – implying partnership with research and education and complimentary types of processes and knowledge. I can see how this deep knowledge, when centred in a location, brings an intangible “something” that goes way beyond what intellectual property can protect. As well as emphasising “tacit knowledge” he also emphasised the importance of trust in relationships. In a way this is something that can only grow over time, and in face to face interaction. Cluster interaction has a natural way of filtering out the “bad apples” and bringing unethical practices into line. Next we discussed the vital role of the cluster manager. We looked at the skills and qualities needed, primarily the ability to listen and engage and facilitate – not doing too much but bringing people in gently – one at a time preferably, building relationships and trust. The cluster manager should also have a broad skill and knowledge base and should be neutral and able to keep confidences. They need not be a specialist in the particular industry but be able to pick it up quickly. – Building Competitiveness through Smart Specialisation available for sale on the website. How does this work with Localisation? I liked how Ifor recognised the engagement required across sectors and across interest groups. It’s really important that we don’t just stand back and throw stones at each other just because we are coming from some diverse and sometimes polarised perspectives. It is only through patiently linking together that we begin to see others’ perspectives better and come to a place of a better working understanding, and therefore better outcomes for our communities. This was evidenced on the day by the diverse interests represented. While his focus seemed to be primarily on a global context – developing specialisations for the global market – he did seem to also grasp the importance of a resilient local economy/community. Where localisation can offer much to economic thinking is in the concepts of stopping leakage of wealth from a region. This was considered in terms of taking raw materials to finished goods, but the other aspects of leakage reduction were not really discussed or considered. 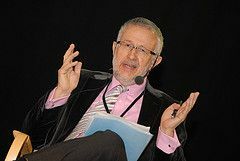 While from his perspective it seemed to me that the future is going to entirely global-driven, I would argue that global-scale specialisation is ultimately unsustainable – environmentally and socially – and we must build diverse local economies for food security, ecological sustainability and regional resilience, as local will eventually become the dominant economic model again for most essentials. I would also argue that wealth ultimately does not come from trade – it comes from the soil, the sea, our waterways, the energy of the sun and is in our people. This is where our true wealth lies and we must do all we can to maintain and enhance these for the wellbeing of future generations. However for now the local and global will sit together and can be complimentary – and the wisdom of clusters is highly relevant to both. This entry was posted in Community, Economics, Events on July 16, 2015 by Clive. Anyone who starts their book with a quote from Wendell Berry will get my attention. 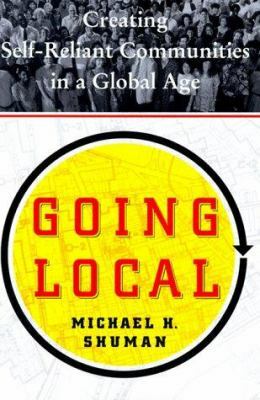 But while Berry produces exquisite art that feeds the soul with inspiration and practical wisdom, Michael Shuman writes books for the “how to” of localisation. This one is filled with examples of what has and hasn’t worked – mainly from USA examples from the 1990’s but still highly relevant to our present time and place. He has some great examples of cities and regions abandoned by large industry who have faced social and economic disaster, but instead assessed what was left and found ways to recover a buoyant local economy. His hypothesis is that the costs of courting large-scale overseas investment is too high. The advantages are temporary at best. A long-term, robust economy is founded instead on solid, locally owned sustainable businesses. A community bill of rights accomplishes several goals. It enables residents to assert, fundamentally, that ends come before means – that businesses are welcome if they serve the community. It creates a set of public norms about commercial behaviour that protects the public and provides fair notice to corporations. A business’s faithfulness to the Rights. while voluntary, carries consequences. Every time a citizen considers making a purchase…he or she will have the list of qualifying companies in mind. This is what we have in mind through a our Localise Project – developing a set of voluntary standards around shared values and then identifying businesses that are on-board with these values that they may support one-another. This is about taking stock of what our city, town or region is and has. Every community has resources, assets and culture that are capable being revived and empowered. Sometimes we forget how blessed we are in Northland in terms of climate, resources and history. Shuman recommends recording and publishing this to remind ourselves of who we are and what we have. This not only gives us a starting point for moving forward, but inspires a new sense of collective identity. This report would also include our local renewable resources, non-renewables, community organisations, measures of current exports and imports, indebtedness and investment on a region-wide basis and so on. This report is not so much about finding answers, but identifying where we are at – that in many ways we are richly resourced, but just need co-ordination and vision for that to be utilised in a sustainable and empowering way for the whole community. This requires research and coordination – an essential part of the process. The Ministry of Economic Development recently commissioned a report on Northland which has collected much data around the Northland economy. Many of the conclusions are framed in terms of a global/industrial narrative, but the information could provide a great resource for a State of the Region Report. In Northland we have at least one great example of a Social Enterprise that has lead the way in CBEC (Community, Business and Environment Centre) is based in Kaitaia but has ventures throughout Northland. With a focus on running community services (transport, home insulation, solar power, conservation and recycling) in a sustainable way they have proven the viability of the Social Enterprise model in Northland. The Akina Foundation is presently working in the Far North coaching a series of new social enterprises, for example AKĀU – a design and architecture studio in Kaikohe using local materials to make quality furniture and other locally designed products, providing training for local youth in association with Northtec. The transformation of business schools and university economics departments is another imperative. Lewis Mumford once observed that industrial society transformed all seven deadly sins except sloth “into a positive virtue. Greed, avarice, envy, gluttony, luxury, and pride [are] the driving forces of the new economy”. Fortunately we have organisations like Akina who are leading the way in ethical Social Enterprise and locally Northtec is playing a significant part in sustainable development and training. They have carried out some significant research including an extensive study of the impact of the Whangarei Growers Market. From my background as a Chartered Accountant I see the great disconnect between great people with exciting ideas and the realities of compliance with regulations and reporting requirements. I am still involved in informal business mentoring with a number of forming ventures and may formalise this in future as there is a great need for incubation of new ventures. We are also in the process of creating software tools to assist with compliance and governance. Shuman sees the development of sources of finance as essential for the starting of community organisation. Conventional sources of finance form a point of “leakage” from the local economy, reducing the “multiplier” effect of keeping funds in circulation. As community corporations expand, so will the need for local investors. A concerted effort must be made to convince your neighbours to transfer their pensions and other assets from global stocks and bonds to local ones, and from mutual funds with no preference for place to local mutual funds targeting local businesses. Many will of course argue that this may expose their retirement funds or their children’s inheritance to undue risk. But are investments in the global economy actually that safe anyway? There are ways to invest locally in safe way – for instance investing in land or buildings that are made available for social enterprise or start-ups at an affordable rate as a way of promoting these ventures. Mechanisms already exist for protecting peer-to-peer lending. Simply using a local solicitor to draw up an agreement is the most simple way if there is already some kind of relationship between the borrower and potential investor. New peer-to-peer lending businesses like Harmoney allow lenders to choose who to invest in. So a local investor could go in there are choose from a range of local ventures. …demonstrate that designing, managing and recruiting participants for community currency is a terrific organising project. It raises awareness about who lives in the community which citizens are committed to self-reliance, and what and where goods are locally available. It strengthens relationships between local business and consumers. It heightens public appreciation that every purchase is a civic act. Northland has had community currencies and time-banking in the past. Laurence Boomert, a guru on alternative currencies did a great presentation on Complimentary Currencies at the Resilient Economies Conference in Kaitaia in 2014. As far as I know there are no current currency initiatives in Northland however there are tools to enable virtual local currencies available and once some of the other steps are more progressed this would be natural extension. It can make sure that the only beneficiaries of local investment, contracts, purchases and bond finance are community corporations. It can help to match local-input supplier and workers with local producers. It can set up scholarship funds… If your mayor or local city-council members refuse to start making the kinds of economic stands that make difference, consider standing against them. There are some encouraging signs for Northland in this arena. The Far North District Council hosted the Resilient Economies Conference in Kaitaia in 2014. They are supporting the Akina social enterprise work in the Far North. The Whangarei Council seems open to suggestions. We just need to keep working on them! A community that begins the transformation to self-reliance will soon encounter powerful enemies. Multinational firms that find themselves losing local markets and special government privileges can be expected to retaliate… and continue to use trade treaties and friendly courtrooms, wherever possible, to circumvent the inconveniences of democracy… But their most likely – and dangerous -reaction will be to tighten their grip on local governments. This is about pushing for policies that devolve power back to local communities and local councils. In New Zealand local government has less power and less resources than in most other countries – lots of responsibility but little real power. But once we have a working model of a truly resilient local vibrant economy that doesn’t keep begging for government handouts, is addressing it’s social problems in creative and compassionate ways and is reclaiming a truly local identity then hopefully we will have a great case for government to look seriously at making it easier for local communities to at least be on a level playing field with the corporations, and to trust local councils with more power to facilitate this. A more responsible course for a globally minded community is to move toward local self-reliance, and to help other communities worldwide do likewise. How? By transferring innovations in technology and policy that foster self-reliance, especially to the poorest communities in the world that desperately need a new approach to sustainable development. In fact it is many of the “poorer” countries where social enterprise is thriving and we can learn from them. However the idea is sound, that we get our own house in order, care for our own people – our own “zombie towns” – then perhaps we will have learned some skills to help others. 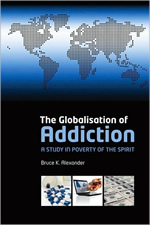 This entry was posted in Book review, Community, Economics on June 4, 2015 by Clive. We have extensive and diverse resources in Northland. These are our true capital assets. Our natural resources include our soil, our waterways and water reserves, our seas, our forests, our plants, animals and birds (both domestic and wild), our history, our skill-sets, our experience, our culture and our other raw materials. We also have existing infrastructure in terms of power reticulation, roading, harbours, and modes of transport (vehicles, boats, planes etc). We have the land-form and the climate to produce all of our basic necessities. Most importantly we also have our people. Whether we use of misuse our assets depends on our goals. Our goals determine the ends to which we dedicate those assets. If for instance our goal is the maximisation of short-term wealth channelled into the hands of a few people it would make sense to sell off our capital assets, or to exploit them as quickly as possible – to run our economy, our people and environment, as they say “into the ground”. Then a few of us could retire rich to some safer place leaving the rest with very little. If our goal on the other hand is the long-term well-being of our place and of our descendants we would do our best to preserve and build up our capital assets. We would ensure we maintained diversity of skill-sets, diversity of agriculture, horticulture and manufacturing. We would preserve our waterways, ground-water, air and soil. We would ensure our fishing supplies and native forests were harvested in a way that increased rather than decreased their long-term viability. We would retain local ownership of our lands and businesses. We would ensure that irreplaceable resources like minerals were only used in a way that ensured maximum value for generations to come for the wellbeing of our region. We would put great care into passing on values, culture and skills to our young people so that they – our greatest assets – would have a future in the place they sprang from. We would minimise the leakage of our assets and resources. Leakage occurs when resources from within a community are extracted out for less than fair value. Some would argue that exports of raw material are not leakage, as they allow us to import the goods that we need and cannot produce here. From an accounting perspective when we deplete our capital to gain depreciating assets or consumables we are going backwards. Say for example we sell a capital asset such as a house, and spend that money on say, a car or a holiday. In 10 years the car is probably worn out and the holiday is a distant memory and we have no house – even though the house and land is still there and probably has the same intrinsic worth. This is the story of Northland under our current economic thinking. We are depleting our true assets, in exchange for consumables and depreciable assets. We are selling our land to investors who take most of the profits generated on that land out of the area and in some cases out of the country. We are losing the nutrition in our soils through exporting huge amounts of timber, meat and dairy. What do we get in return? Imported fertilisers and pesticides to pump out more and more production from our depleted soils. Our soils have become chemically dependant – a temporary fix at best that cannot replace years of depletion and exhaustion. True sustainable fertility and natural resistance can only be built up again through the long process of careful humus replacement and building up the depth of topsoil. Our human and animal waste pollutes our streams and harbours instead of those nutrients being carefully put back into the soil. We import cars, tractors and machinery to run our farms – all depreciable. And we buy consumable goods – fuel to run our machines and the trinkets of consumer society. These end up in our landfills, in our oceans, in our waterways, in our atmosphere and in our soils making it harder and harder for future generations to survive in this place. Or we ship what waste we can overseas – some to be recycled but most ends up polluting some other unfortunate community. When we use credit from a overseas-owned bank we are effectively “importing” it – the profit derived from our fees and interest is going to the overseas owners. We also deplete our assets when we fail to care for our young people. When they cannot find meaningful employment and caring, safe communities what future is there for them? How do we reverse leakage? Diversifying our production and moving back to more mixed-farming models is a way of reducing and reversing leakage. More raw materials processed locally will reduce leakage, along with a greater variety of goods produced locally. This production may be smaller-scale but higher-quality. Less reliance then needs to be placed on revenue from bulk exports as more goods are traded locally and what is exported is in a higher value state. More work is created locally through the diverse local industries required for the more complex and skilled economy that results. As a bonus, waste and pollution is reduced as transport needs are reduced, and a more diverse model uses “waste” from one industry as raw material for another (manure and animal bi-products as fertiliser for instance). More diverse farming and horticulture is less intensive in terms of environmental impact. Sustainable forestry and dairying practices maintain and build up natural fertility, preserve soil and waterways, allow aquifers to rebuild, reduce the need for expensive imported chemical and mechanical interventions and work with the natural processes. Reducing dependance on debt also reduces leakage. An internal economy is one where capital is supplied from within the region. Borrowing from outside of the region is leakage – overseas owned banks profiting when that could be retained in the local economy. Similarly investment that is sent onto the national or international stock market is leakage. Brokers and companies elsewhere benefit. By moving to smaller-scale but more diverse and more value-added style businesses the need for the vast debt burden required by our current primary industries could be reduced. The costs of entry into farming and horticulture becomes affordable in smaller-scale operations. More people are employed in more diverse jobs. Finding ways to link local investors with local borrowers vastly reduces leakage. With the development of local credit co-ops, peer-to-peer lending, local virtual-currencies and time-banks an internal economy can begin to thrive. Finally, we reduce leakage when we care for our young people and for the most powerless members of society. The worst fallout of our global-industrial system is social. Our people who have been left without work and without hope as the global economy has gone into spasms is a terrible waste. When our young people have gone to the big city, overseas or to prison what sort of legacy is left for future generations? If our goal is the long-term well-being of our place and of our descendants we have failed almost completely. Free higher education would be a great start, but it must lead into creative, fulfilling local jobs, business ownership and home ownership opportunities to create stable communities. A well-functioning local economy cannot rely on “innovators, entrepreneurs and businesses taking a risk” unless those innovators and entrepreneurs are connected to the community and land and are passionate about the wellbeing of the community and the land – actively supporting social services and community welfare initiatives that empower those caught in the poverty trap. A profit motive alone will not care for the poor or for the young. The motive must instead be the long-term wellbeing of the community, and the creation of a sustainable economy to support that goal. What kind of community consensus do we need to create a system that is more that a vague hope that the most powerless are cared for through some sort of trickle-down from tourism or exporting of raw materials? How do we make our foremost goal and the measure of our success to be the care of our people in empowering, dignified and culturally appropriate ways? Can this be left to the whims of a so-called market economy? Even when it is demonstrated that it makes no sense even just economically to leave people poor, uneducated and unemployed, the market economy alone has generally done nothing. It has left the job to “the government” or simply blamed the poor, uneducated and unemployed for their own plight then grumbled about having to pay tax for the social problems created. The most obvious way to generate an internal local economy is of course to make a choice, wherever possible, to buy from local suppliers who also buy from, borrow from and employ other local people. The more local the supply chain the more leakage is plugged. The more leakage is plugged the more momentum is gained by the local internal economy. Tourism may be a happy bi-product of a strong caring local economy, but to rely on this as our source of well-being is to make ourselves powerless victims of the international economy that really doesn’t care about us. But instead imagine focussing on a truly local sustainable culture, celebrating our uniqueness and sharing the good things we have with others in an attitude of hospitality and generosity. Imagine art and music made not for commercial gain but out of a flourishing of history and depth of community that has time and resources to celebrate together. Ironically that would be a great tourist attraction! Imagine the wonderful unique goods we could make from our local materials – not just “crafts” for “tourists” but real food, clothing, utensils, furniture, tools and technology that has grown to meet our local needs using our local resources. With a thriving full-employment low-social-cost society we should be able to make an excess of goods that can provide an export income, but only after supplying local needs at fair prices. This would make our region a highly desirable place to live and to visit. Would this kind of local economy provide us with not only basic economic resilience but also assist us in our goal for long-term well-being of our place and of our descendants – a meaningful sustainable community where there is a future for our young people? Could this model be the way to lift us out of our present health and social crises? Could this provide a basic level of provision in case of emergency or disaster? This entry was posted in Community, Economics on June 2, 2015 by Clive.